Whether you are traveling from Dublin Airport, Kerry Airport, Shannon Airport,Dublin City or any Irish destination we would highly recommend you include a trip to the Ring of Kerry when in Ireland, it's a beautiful scenic route and is well worth the trip when visiting Ireland. This is one of popular road trips to do in Ireland, with excellent views at every corner, it’s no secret that Ring of Kerry exists on tourists’ must do lists. With a 4.5 star rating on Tripadvisor, it’s safe to say that those who have taken the route loved it. Jumping in your car from Killarney town and taking the southward road following the road that looped back to Killarney – that is the Ring of Kerry. 111 miles of winding roads and delightful backdrops. 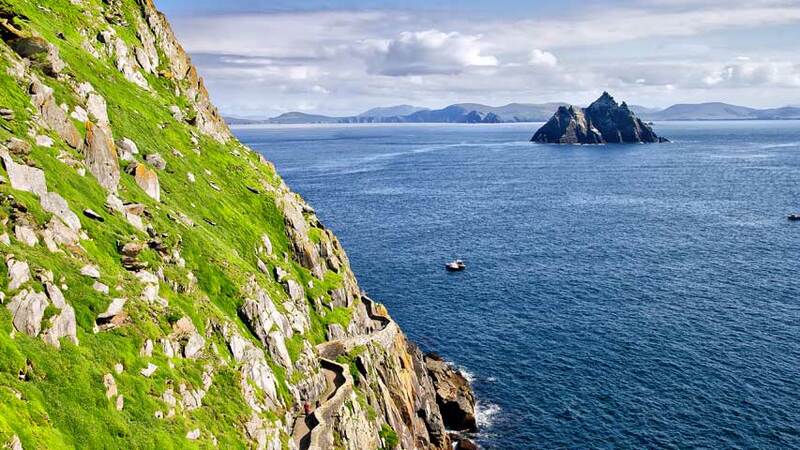 ► Ring of Kerry in Ireland [VIDEO]: Top 10 things to do in the Ring of Kerry route. ► Ring of Kerry Map: A visual map showing you the full route and the main stops. 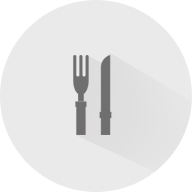 ► Ring of Kerry Accommodation: Useful information on b&bs or hotels on or near the route. Black Valley In the 1970s, Black Valley was the last place in Ireland to receive electricity hence the name. 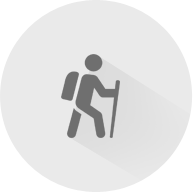 It is located remotely in the heart of Killarney National Park between Moll’s Gap and Gap of Dunloe. Not for the faint hearted but go slow down this winding (literally!) road and enjoy the vista views of the mountains and vast landscape. 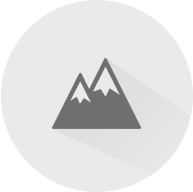 Alternatively, you could park at Gap of Dunloe and hike or bike the pass. Gap of Dunloe, around 6.8 miles long, begins from Kate Kearing’s cottage and ends at the top of the gap. It is nestled between McGrillyCuddy’s Reeks and Purple Mountains and connected to the Molls gap by the Black Valley which is a scarcely populated area. The narrow road, during peak season, is said to be occupied by horse carriages so journeying through this road is recommended in the evening. Tip: Start from Moll's gap and come out of Gap of Dunloe entrance. Gap of Dunloe is closed to traffic in. Ballycarbey Castle Ballycarbery castle 1.9 miles from Cahersiveen, a picturesque view of a castle ruin. You can go in the castle to explore different angles! Nearby is the ring stone fort, Cahergall ring fort that’s worth a visit. Free entrances to both. Skellig Coast drive “Skellig” is derived from the famous islands of little Skellig and Skellig Michael, named Best in Travel 2017 by Lonely Planet. This is a slight detour from Waterville on the Ring of Kerry takes you into narrow roads of Irish speaking ports, villages, and blue flag beaches. Ballinskelligs harbour The tiny harbor of Ballinskelligs and take a stroll on the fine sandy beach with views of McCarthy Mór Castle and the iconic islands of Skellig Michael. Skellig's chocolate factory in Ballinaskelligs to taste the local flavor. Rossbeigh Beach One of the earliest stops you’ll encounter on the route, located 1.2 miles outside Glenbeigh village. Rossbeigh beach is a blue flag sandy beach stretching 3.7 miles long, a perfect spot for kiteboarding or a family day out. Valentia Island The Valentia Island is situated in the southwestern part of the Iveragh peninsula. Two entrances onto the island, one linked by a bridge and other is by a 5-minute car ferry from Reenard point and arrives at the Nightstown. Valentia Island has lots of cool things to do, from spotting dinosaur fossil footprints to 360 degrees viewpoint at the top of Geokaun Mountain with views of the Skellgs, the Blasket Islands, and the peninsula. Valentia Slate quarry, situated at the highest point of the island was first opened in 1816. The quarry is said to be one of the best attractions of the island and is also famous for providing the best quality slates for Paris Opera House and London’s Houses of Parliament. Moll's Gap Between Kenmare and Killarney, is a pass on the N71 that offers a panoramic viewpoint of the Black Valley. 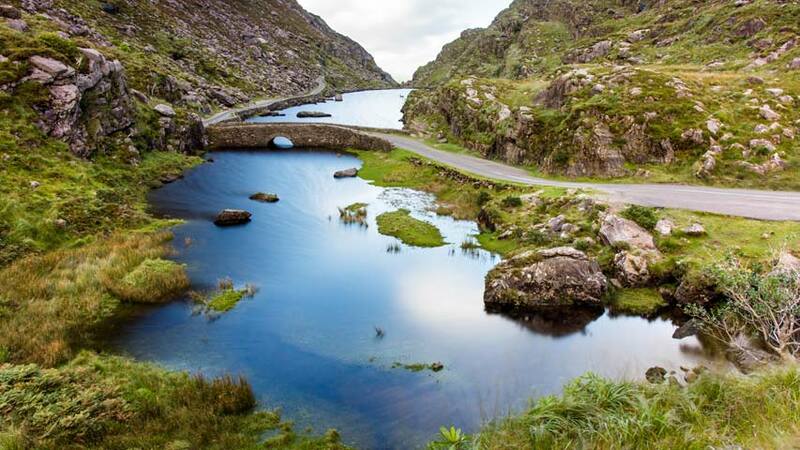 Molls Gap is a steep mountain pass that joins the Killarney and Kenmare villages and it’s popular with cyclists who challenge themselves to reach the summit and descent with speed. Avoca café / shop is located here if you like to stop for lunch. Ladies View Also between Kenmare and Killarney is one of the best views found on the Ring of Kerry drive, looking out Killarney National Park and the Black Valley. Ladies View Industries is a café, shop and a bar should you want to stop for a break. 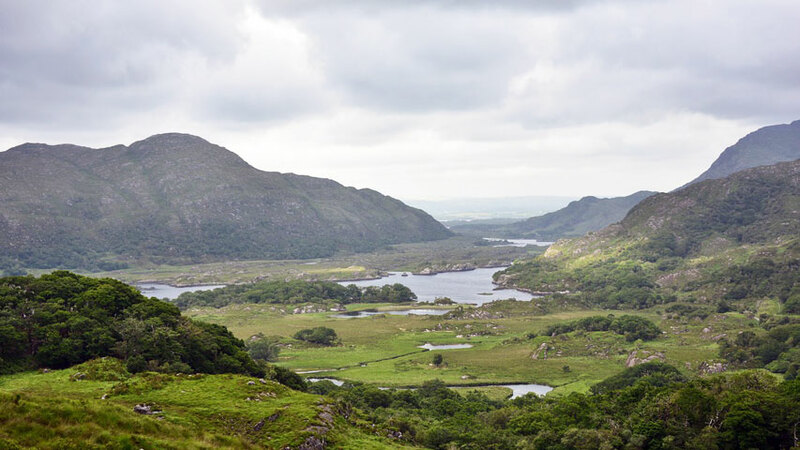 However, while these may be the main attractions present in the town, there is another thing that attracts so many people to Killarney; like, the Torc Waterfall which flows through a river called the Devil’s Punch Bowl and falls from the Torc Mountains. The 220 steps ahead of the waterfall can be climbed if one is equipped with the right gear. It is a 3-hour walk and it leads back to the car park at the bottom of the waterfall. The ‘Rose Garden café and B&B’, in Kenmare is certainly worth a visit. The café is just 15 minutes away from Sneem and is quite popular. It is owned by a cute French couple that serves delicious and mouth watering French pastries and cake to their customers. The Kells Bay House and Gardens are nestled between the villages of Glenbeigh and Kells area. The 19th-century house is a tea house which has a balcony that overlooks the sea. The Rossbeigh beach is 1 mile away from the village of Glenbeigh. The beach has large car parking area, activities such as horse riding, camping and a play area for kids. Derrynane is a sandy beach which is quite close to the Derrynane House. The Caherdaniel village is just 1.2 miles away from this beach. Killarney, Killorglin, Rossbeigh, Caherciveen, Valentia Island, Portmagee, Caheerdaniel, Sneem, Kenmare, Molls Gap, Muckross House and Lakes, and Killarney. Having your own car to do this route is ideal, you'd be able to stop whenever you want whereas a coach is time limited and destinated stops only. Car Rental Ireland provides car hire service from nine locations in Ireland which you can easily pick up a car and do the Ring of Kerry scenic drive. From Killarny full loop is approx. 111 miles. Book a car with Car Rental Ireland and add Ring of Kerry drive to your itinerary. Start from Killarney and head northwest on the N72 towards Killorglin, turn left for Gap of Dunloe. After you have visited Gap of Dunloe, head back to the N72 main road and take a left for Killorglin where you will take the N70 Ring of Kerry road. Take a right at Glenbeigh to visit the Rossbeigh beach. Back on the N70 towards Cahersiveen, Caherdaniel, Sneem, Kenmare. From Kenmare, take a left on N71 for Molls Gap, staying on Molls Gap to Torc Waterfall, Muckross House and returning back in Killarney. For Valentia Island / Skellig Ring Back on the N70 towards Cahersiveen, take the ferry to Valentia Island and drive through Valentia Island, leave Valentia Island by R565 road to Portmagee. Continue South West on R565 to Ballinskelligs and take a right on R567 to return onto N70 road for Waterville. There are two ways in for Gap of Dunloe, one by the N72 road after Killarney or through the Black Valley. From Molls Gap, take a left onto R568 for approx. 850m and take a right onto a small road signposted Blackvalley Hostel. Following this road until you come to a junction and take a right again. Stay on the road until you come to Gap of Dunloe. "So beautiful! I was lucky to be the passenger." It is a very long drive around the ring of Kerry. But so very worth it! We saw lots of the highlights as we went around including the waterfall this is definitely worth the short climb up through the forest to see. There are plenty of stopoff places to go and see and we particularly enjoyed going to Skellig and tried and the chocolate there. Some of the things to say are off of the track so plan well before you go what you need to see. Lots of people have said on here how difficult the driving was and how hard to navigate the narrow roads. Please take no notice of them it was no more difficult to drive then the normal country roads. "Beautiful drive" This was such a beautiful drive - it was on the 10 most beautiful places to see in Ireland and I highly agree. There were plenty of little coffee shops, restaurants, and shops to stop off at along the way. We also stopped from time to time to take some breathtaking photographs. Definitely worth the time! "Fantastic!" After reading lots of reviews we decided to drive clockwise around the Ring of Kerry starting out from Kenmare at about 9am. The roads were empty! Being used to driving in England in the summer months, we couldn't believe just how quiet it was. We stopped at nearly every stopping place to take photos and most of the time we were on our own. Yes the roads are winding but it's two lane carriageway most of the way, they have ample passing places and the views are spectacular! In the afternoon we saw some coaches going the other way and the main road had more cars on it but you couldn't really call it busy! Don't be afraid to leave the main road, one of our favourite bits was driving through the Ballaghbeama Gap. Stunning scenery and again, we were the only car on the road. Definitely a 'must do' in Ireland. "Car ride for World Class Scenery" This car ride rivals other world class sights like Big Sur, the Norwegian Fjords, the Grand Canyon. You get the picture. This landscape is unique and breathtaking. It is a longish drive but we'll worth the time and effort. We started out in the late afternoon after the traffic had eased and ate dinner on the road. Remember it stays light untill well after 9:00 pm. "Drive it - so many places to stop and take photos - picture postcard perfect!" On a recent trip to Ireland, we wanted to drive the Ring of Kerry and we had a lovely day trip doing so. We started in Killarney, leaving our wonderful Fucshia House B&B, after a full delicious breakfast. We were advised to get an early start and take the same route the buses take, to avoid meeting them on the narrow roads. Good advice! My husband did a great job navigating the windy, narrow roads. Not sure why the posted speed limit says 100kph as that is not possible in most places. Lots of places to stop and enjoy the gorgeous countryside. Views upon views make this area a beautiful picture postcard scene all day long. The day included: farms, sheep, hills, mountains, ocean, lakes again and again.